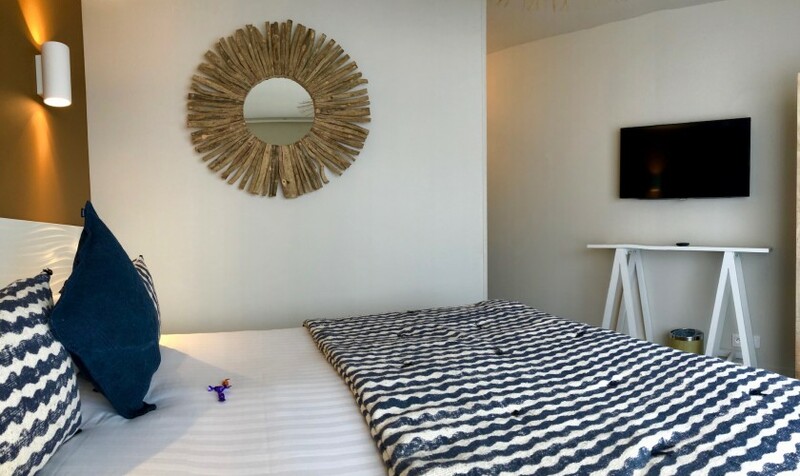 This 16sqm room, recently redecorated in 2019 in shades of blue and rope includes a large double bed of 160cm and a dressing table. Its terrace with its two chaise lounges and its small table is huge, and allows to enjoy the great view of the pool and the sea in the distance. 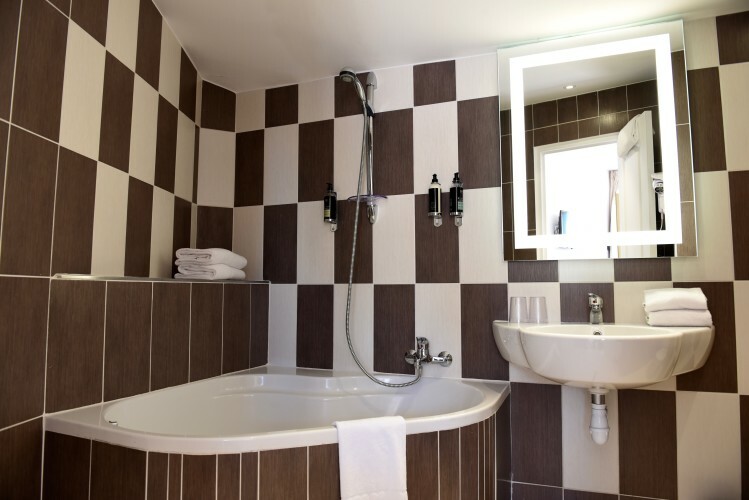 designer bathroom with bathtub, minibar, nespresso, satellite tv, safe etc. 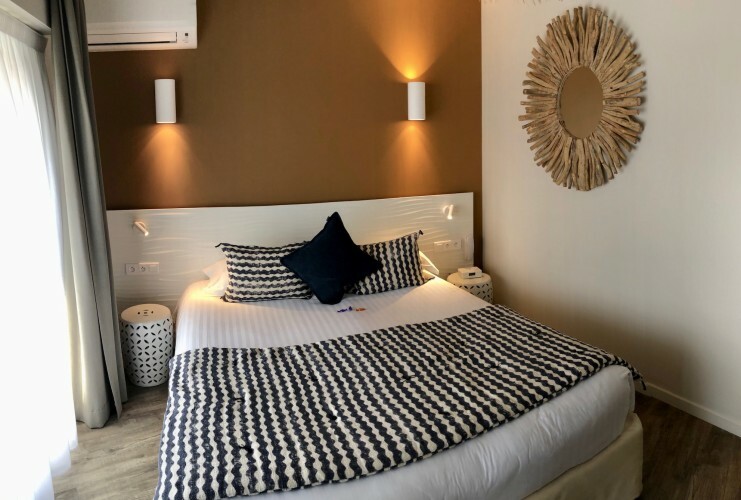 This 18sqm room located on the ground floor and freshly renovated in 2019 has a large terrace with deck chairs and small table overlooking the pool and you can see in the distance the sea. There is a large double bed 160cm, a dressing table, a minibar, air conditioning, a Nespresso machine, a safe and flat screen TV. At the heart of the prestigious and quiet peninsula of Saint Jean Cap Ferrat, the Hotel La Villa Cap Ferrat is ideal for holidays at the top of the village, just 5 minutes walk from the port and the village. The last reservation was made 11 hours ago. Book now our best rates before the best deals are taken by someone else!